Dream Condo on Pristine Beach. April 2019 Availability. Ideal location -- Oceanfront building! Watch the video and count the steps to the beach! - There is no better deal for a unit this nice and this close to the beach. The unit is in Building 5 Loggerhead Cay -- Directly on the Gulf. The Kitchen and Carpet are brand new as of July 2015. - The Complex itself is just 3 minutes and one right turn from the causeway onto the island. Unwind and make this your own getaway and home away from home. Perfectly situated in one of only two Oceanfront buildings at Loggerhead Cay, #533 has Gulf Views from every window (on each side) as well as from the private, screened lanai. Views of the pool, and professionally landscaped courtyard are from the ideal 3rd floor location. A picturesque footpath takes you from the courtyard to the beach within 60 seconds or less. Our beach is pristine, bright white and au naturel. It abounds with local shells, birds and wildlife. We offer a well equipped kitchen with updated cookware, utensils appliances and glassware. Our dining room ensures an appealing atmosphere for cocktails and dining. Enjoy the seashore elegance with decor in crisp whites, ocean blues, sparkling & sandy tones. A welcome book within the condo offers many suggestions of things to do, places to dine etc.. Please contact us for more information--we look forward to hearing from you! My family has been going to Sanibel since 1977. We have 40 years of memories on this enchanted island. Loggerhead Cay cannot be more accessible to anyone wanting a Gulf Front Vacation. Also, the grounds of this property are maintained so perfectly you would think it was the grounds of some Royal Palace. For this reason we bought a unit at Loggerhead Cay over any other complex on Sanibel. It is very easy to get to. The beach on this part of the island is arguably the best. Ohh, and Unit 533 assigned parking spot is directly next to the ramp and stairs to the elevator. (3) 3 High Definition Televisions, with a Blu-Ray in Living Room and DVD and VCR in Guest Bedroom. Various Board Games, Playing Cards, and Dice. Two nice courts in the complex. MASTER Bedroom, w/ private en suite bath, KING-size bed, clean & modern decor, 32' LCD TV + DVD, GUEST Bedroom w/ private bath + 22' LCD TV & DVD, Living Room w/ QUEEN sleeper sofa, matching loveseat, Central A/C, 32' LCD TV + Blu-Ray + iPod Sound Dock, Full Kitchen w/ Coffeemaker, Blender, Calphalon cookware, updated cooking utensils, wine & champagne glasses. Linens/Towels/Beach towels, Full size washer & dryer in unit, Assortment of childrens pool/beach toys, beach chairs, umbrella, Unit is only few feet from elevator & PERSONAL parking space is DIRECTLY next to elevator, for easy loading & unloading. Michael the owner here. For all reading this, please consider all the other 5 star reviews I have had. This is obviously an unhappy human being. The refrigerator is cleaned out by a professional cleaning service. The entire kitchen is just 3 years old. I buy brand new beach chairs every time I am down. They are kept on the Lanai and sometime get a bit of rust -- they are exposed to the salt air -- because we are ON the Gulf of Mexico. Any rentel can get new chairs at any of the shops on the Island I will reimburse them. Geez. Please read the other reviews and look at the photos if you want an accurate idea of this beautiful, modern unit. I actually like a bad review every once and awhile because it lets people know a bot is not writing them! Condo is beautiful! Well maintained and well stocked for your stay. Property is on the beach, which is steps away. Can also view beach from lanai.Condo is also a short bike ride or walk to several restaurants. Check in was a breeze. Appreciated the advice from owners regarding restaurants and attractions. Hope to return again!! Comfortable, spacious apartment right on the beach. We had a very relaxing stay, going in and out to the beach and then relaxing on the comfortable couches. Everything was clean and inviting. 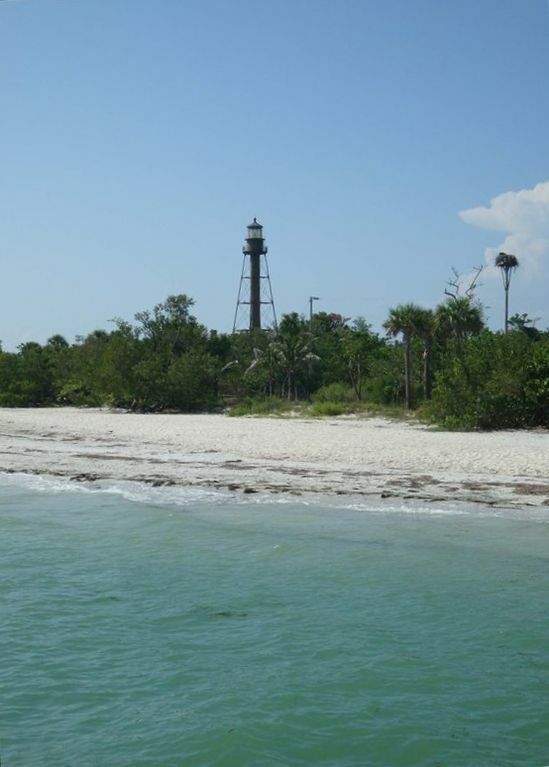 We stayed at Loggerhead Cay in July and thoroughly enjoyed Sanibel. I would describe the condo as adequate. On the plus side, the beach is pristine and the owner gave fabulous tips of where to go, what to do, and places to eat. All of her suggestions were fantastic! On the negative side, the bathrooms are small and a little dated. The beach chairs and umbrella that are included per the description were not great--you may want to pick up your own at the Wal Mart on the other side of the causeway. I also felt like security lighting was an issue. The pool area is completely dark at night and the light outside the front door did not work. Having said all of this, we spent very little time in the condo since we were constantly exploring the island. It definately served its purpose. Stylishly decorated, centrally located, with wonderful view. Enjoyed our stay in this lovely condo. The kitchen was amazing! We appreciated the amenities provided and the accessibility of the owners. Thank you! We loved the loggerhead cay condos. love being close to the beach. Love this property. Close to beach so can spend parts of the day and go back to the condo for lunch and then head back to the beach. Also love the swimming pool and shuffleboard. Bird watching, Renowned 'Ding Darling Bird Sanctuary' (walk, bike, or drive through) Loggerhead Turtle nesting area, Dolphins/Manatees, (from casual to 5*) Sightseeing, Canoeing/Kayaking through mangrove trails, Charter Fishing, Sunset Cruises, Key West Shuttle from Ft, Myers Beach, daily, Nightly CASINO CRUISE from Ft, (20 minutes away). Thomas Edison's & Henry Ford Winter Estates in Ft. Myers --fascinating.